Newport, RI is the ultimate tourist destination, as it offers rich history, magnificent Gilded Age architecture, a vibrant art scene, miles of beaches, wonderful hiking trails, spectacular sailing and many festivals throughout the year. You can also find great food, excellent shopping, street fairs, sidewalk sales, and a luxury car museum. Be sure to leave some time to admire the magnificent mansions that dot the cliffs overlooking the ocean. Taking the three and half mile long Cliff Walk is one of the best ways to see Newport from a unique perspective. The walk runs along the eastern shore of the city and offers magnificent views of the shoreline and the architectural history of the city's gilded age as you pass by luxurious villas nestled on the cliffs. The walk is easy for the most part, and wildflowers and rocks of different colors showing the area's interesting geological history surround the path. Some parts of the southern end of the trail are fairly rough, passing only a few feet from the sudden drop of more than 70 feet. As the edge is hidden by wild bushes, hikers have to be very careful to stay on the path. The walk starts at the western end of Easton's and ends at several major city streets. Ocean Drive is a popular Newport scenic tour, a combination of spectacular views of the shoreline and the lavish mansions New Yorkers built at the end of 19th century as their “summer cottages” where they could enjoy cool sea breezes. Ocean Drive has been designated a national Historic Landmark District, and it provides visitors with a point of view of Newport that should not be missed. Along the drive, you will pass by a number of landmarks: King Park with the famous statue of General Rochambeau, Ida Lewis and New York Yacht Clubs, Fort Adams State Park, Hammersmith Farm where President Kennedy had his wedding reception, U.S. Coast Guard Station, Castle Hill Inn & Resort, Brenton Point State Park, Gooseberry Beach, Newport Harbor, Rhode Island Sound, Narragansett Bay, a number of small ponds and coves, a salt marsh, and miles of the Atlantic Ocean. 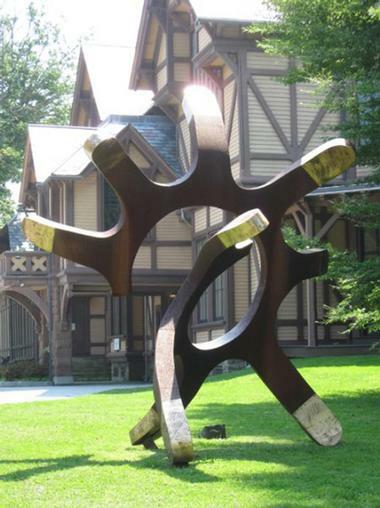 Founded in 1912, the Newport Art Museum, started its life as the Art Association of Newport, one of the oldest art associations in the country. Besides the main building, the museum also operates a gallery in the historic John N. A. Griswold House. The permanent collection consists of more than 2,300 works of American art from the late 19th century to this day, focusing on historic and contemporary works of both established and emerging Newport and New England artists. The museum frequently organizes special exhibitions, drawing from its permanent collection, the art of other museums, and significant private collections. Such exhibits are usually accompanied with special programs. The museum's "Newport Annual Members' Juried Exhibition" provides regional and local artists with opportunities to showcase their work. 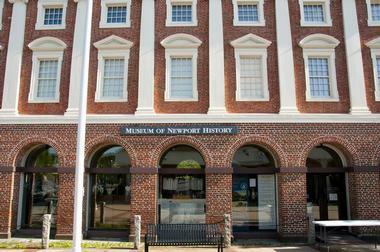 The Museum of Newport History is a history museum located in downtown Newport in the Old Brick Market building. American architect Peter Harrison designed the 1760 building, which has been declared a National Historic Landmark and is owned and operated by the Newport Historical Society. 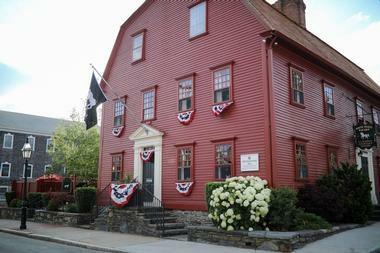 The museum features Newport's history from pre-colonial times to today. It consists of about 10,000 objects, including fine and decorative arts, furniture, musical instruments, textiles and clothing, artifacts of everyday life, and architectural fragments. One of the most popular exhibits is the lens of the Ida Lewis Rock Light. Besides the Old Brick Market, the museum holds parts of its collections in the 1730 Seventh Day Baptist Meeting House, the 1696 Wanton-Lyman-Hazard House, and the 1699 Great Friends Meeting House. 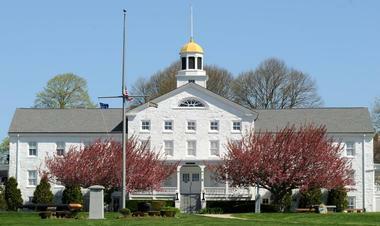 The Naval War College Museum in Newport, Rhode Island is located in the building that housed the first Naval War College, a structure that was originally built in the early 19th century to house Newport's poor. This building is now called Founders Hall. With the Chief of Naval Operations' approval, the Naval War College Museum was established in 1952 to store and manage collections of historical artifacts. 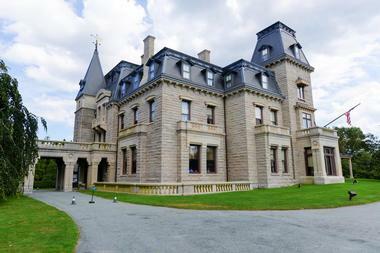 Visiting the grand mansions built in Newport during the city's Gilded Age is one of the most popular tourist activities. 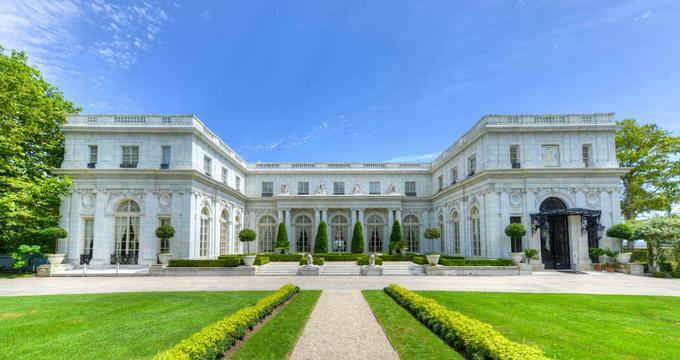 To bring to life the history of the Breakers, the Marble House, the Elms, and Rosecliff, the Preservation Society of Newport County prepared a series of self-guided audio tours of these mansions that are included in the price of admission. The tours allow you to see and learn about personal letters, diaries, records, and oral histories and offer personal stories of the people who lived in each mansion and the staff who took care of them. You can listen to Alva Vanderbilt talk about how she helped design the architectural masterpiece Marble House. You also have the opportunity to hear fascinating personal accounts of life at the Elms, which was built for entertaining and to showcase the art. 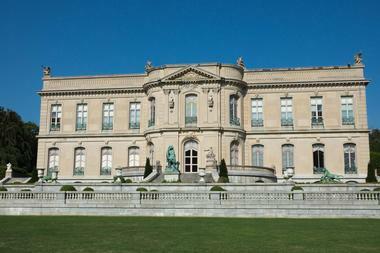 The audio tour at Rosecliff will bring to life the colorful history of lively society hostess Tessie Oelrichs. Rough Point on Bellevue Avenue in Newport is the oceanfront mansion of Doris Duke, a notable art collector, heiress, and philanthropist. The house is still decorated as it was when she lived in it with French furniture, precious art, antique Chinese porcelains, and priceless Flemish tapestries. The house and the estate are now open to the public for guided tours. The tours last about 75 minutes and are led by knowledgeable tour guides, who take small groups of visitors through the lavish mansion, including Doris Duke's bedroom and art galleries. Originally, Rough Point was built in 1887 for Frederick W. Vanderbilt, and at the time it was the largest mansion in the Newport summer colony. 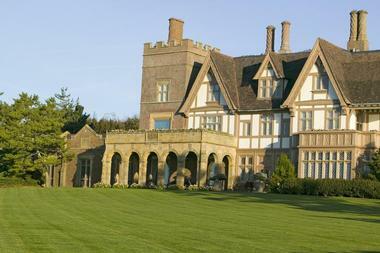 The house was designed in the style of English manors to evoke the feel of a traditional English country house. 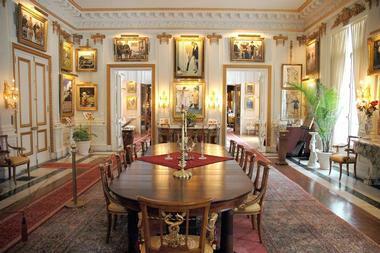 The National Museum of American Illustration is located on Newport's historic Bellevue Avenue in the Vernon Court mansion. Founded in 1998, it is the first American museum exclusively dedicated to the illustration art in America. The museum's permanent collection has more than 2,000 original artworks by well-known American artists such as Norman Rockwell, N.C. Wyeth, Maxfield Parrish, J. C. Leyendecker, and many others. The images in the collection are integral to contemporary American culture and range from the New Year's Baby to Uncle Sam. The collection is known as the American Imagist Collection. The museum also contains many other fascinating pieces of artifacts and memorabilia such as Rockwell's first box of paints, Parrish's paint brushes, and many photographic materials. Located at the Fort Adams Point at the entrance to the Newport Harbor, Fort Adams State Park is a popular park best known for its annual Newport Jazz Festival. It offers panoramic views of the Narragansett Bay and the sailboats in the harbor. The park offers swimming, picnicking, boating, and other recreational activities. It boasts the Joseph "Jay" Kirwin Memorial Rugby Pitch and two other soccer fields/rugby pitches. The park is also home to Fort Adams, the second largest fort in the US, a key to Narragansett Bay defenses from 1799 to 1945. Besides the jazz festival, the park hosts the Newport Folk Festival and is the home of Eisenhower House, former residence of the Fort's commander and Sail Newport sailing organization. Built in 1763, the Touro Synagogue in Newport, Rhode Island is the oldest North American synagogue building still standing and the only synagogue in America left from the colonial era. Still an active orthodox synagogue, Touro Synagogue was designed by British-Colonial era architect Peter Harrison, then a resident of Rhode Island. The interior has twelve Ionic columns that support balconies. The columns represent the ancient Israel's twelve tribes and each column is made from a single tree. 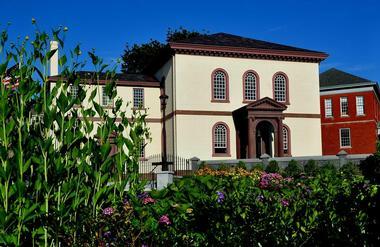 The synagogue contains a number of historic exhibits, including a letter from George Washington to the Hebrew Congregations of Newport, Rhode Island. The synagogue has been designated a National Historic Site. Locals say that Thames Street is the center of all action in Newport. Only about mile and half long, this lively Newport street is lined on both sides with colorful, thriving shops, bars, restaurants, museums, and charming historic homes. It starts where Farewell and Poplar Streets meet and ends at its intersection with Carroll and Morton Avenues. The street is a convenient home of many popular bed and breakfasts, and it provides access to the marinas and Newport Harbor. The best way to enjoy the street is to sit at one of many outdoor cafes or bars and watch people passing by. Of course, there is always shopping. As you stroll along Bowen Warf's brick walkways and granite quays, you can imagine the times when the historic buildings around you held sailmaker's shops and sail-drying lofts. What was once a thriving, busy maritime wharf is today Newport's year-round waterfront shopping and entertainment area. Located at the foot of the Historic Hill, Bowen's Wharf has more than 30 diverse shops, restaurants, and bars and a lively full-service marina. The wharf is the location of many of the city's festivals and celebrations, and it seems that there is always something going on, including Bowen's Wharf Seafood Festival, Bowen's Wharf Newport Wooden Boat Show, sidewalk sales, and flower festivals. There is always music, face painting, great food, and endless fun. 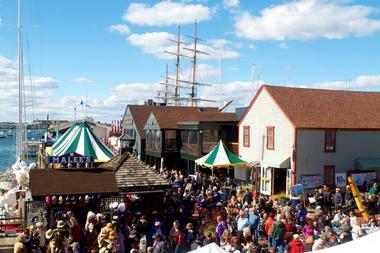 The wharf is also a place where you can organize sunset sails, parasailing, harbor cruises, and ferry trips. Located in the Newport's historic Casino, the International Tennis Hall of Fame celebrates and honors players and other contributors to the sport of tennis. Besides the museum, the facility also includes grass tennis courts, an indoor tennis court, and a court tennis facility. The 1880 Casino, which was built as an exclusive resort, held the first tennis championship organized by the United States Lawn Tennis Association in 1881. The event continued annually until 1914, and by that time tennis had become the resort's main attraction. In 1954, Jimmy Van Alen added the Tennis Hall of Fame and Museum in the Casino. The museum's 13,000 square feet of exhibit space houses a huge collection of memorabilia and artifacts such as videos, photographs, recordings, tennis apparel and equipment, trophies, and tennis-related art. Exhibits depict the history of tennis from its early origins to the modern era. The Hall of Fame hosts the Hall of Fame Tennis Championships and several other tournaments. The magnificent mansion Chateau-sur-Mer was the most luxurious residence in Newport when it was built in 1852. Chateau-sur-Mer was originally built in an Italianate style for china trader William Shepard Wetmore. Filled with lavish Victorian furniture, handmade wallpapers, antique ceramics, and artistic stenciling, Chateau-sur-Mer was famous for memorable parties such as the "Fete Champetre," a picnic held in 1857 for more than two thousand guests and the 1889 debutante ball for Miss Edith Wetmore. The house was remodelled and redecorated in 1870 in the Second Empire French style, and as a result, it displays many major design trends of the 19th century. The house now belongs to the Preservation Society and is open to the public. 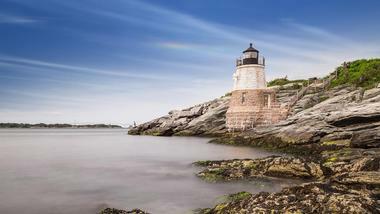 Located at the end of the historic Ocean Drive on Narragansett Bay in Newport, Castle Hill Lighthouse was completed in 1890 as an aid to navigation for ships passing through the East Passage between Aquidneck and Conanicut Islands. It is still active and is not open to the public, but the cliff face and the shoreline where the lighthouse is located can be reached by several steep footpaths from the Castle Hill Cove Marina and the Castle Hill Inn. The lighthouse is built of granite blocks and is 34 feet tall. It is registered at the National Register of Historic Places. Hidden discreetly behind a modest storefront on Newport’s Lower Thames Street is The Bodhi Spa, an oasis that offers rejuvenating experience through massage – single or couples – as well as skincare and much more. Their spacious hydrotherapy area provides an original six-stop Water Journey, consisting of cold and hot plunge pools, wet and dry saunas, and a hydrotherapy steam room. What is so unique for The Bodhi is the freedom the guests have to repeat the procedure if they feel like it without a time limit imposed by the fee. The unpretentious décor and spacious, relaxing courtyard add to the feel of peace and total relaxation. 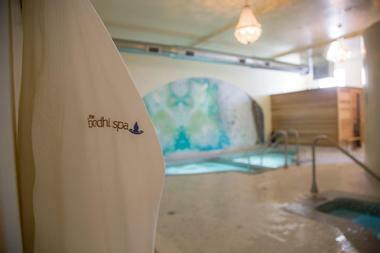 The Bodhi is coed and bathing attire is required. Located on Newport's distinguished historic Bellevue Avenue, Annie’s restaurant is snuggled among magnificent mansions, quaint shops, and museums, just steps from beaches and the marina. This diner-style eatery is quaint and cozy with banquettes on one side and bar stools on the other. It is almost always filled with the buzz of happy customers. Their whole day breakfast is by far the most popular item on the menu - who can resist Eggs Benedict with lobster any time of day? - but there are many other options and you can find something to suit any taste. 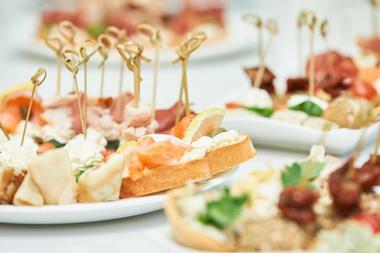 They make their own bread (even croissants), so the sandwiches are exceptional, but there are also salads, soups, grilled cheeses, seafood in any shape and form, and delicious desserts. Centrally located in downtown Newport, Rhode Island, Fluke Wine Bar is a delightful spot with magnificent views of the Newport harbor and Narragansett Bay. It is almost Zen-like in its simplicity, and light floods the space. The seasonal menu changes often depending on what is available in the markets, and it is focused on locally harvested seafood, lobster, and fish, with Fluke being the star of the menu. Rhode Island Red Food Tours introduce a different side of Newport, away from lavish mansions and spectacular sailing vessels. During three-hour walking tours, knowledgeable locals take visitors to six locally owned and operated restaurants off the beaten path in the hidden nooks and neighborhoods of the city. Only locals know about them, and they offer a taste of unique local foods and the ever-changing culinary landscape of Rhode Island. While savoring interesting local and regional dishes, visitors have a chance to learn about the architecture and culture of Rhode Island and its history. While they will not be offered full meals, with everything combined they will have enough for a good, hearty lunch. 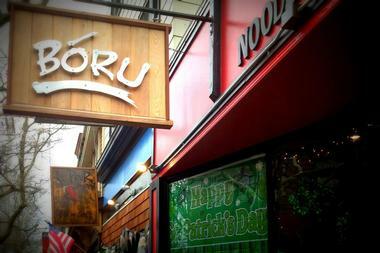 Boru Noodle Bar is the only ramen noodle shop in Newport, but that is not the main reason behind the instant popularity of this tiny unpretentious place on Broadway; what draws people in is the quality of the dishes. With just a few tables and no booze, Boru serves superb bowls of fragrant noodles that are perfectly at home in trendy Newport. 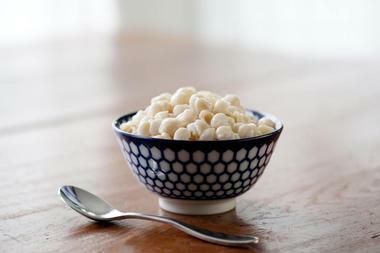 There is even a bowl with Narragansett yogurt. The house bowl includes half a soft-boiled egg, slices of pork belly, and chunks of Napa cabbage floating in thick flavorful broth. Other bowls come with Local Shellfish and Linguica, Beansprouts and Corn in a Miso Broth and Confit chicken in a Parsnip Broth. Everything is steaming hot and fairly spicy, and if you like it really spicy, try Szechuan calamari or chili-glazed wings. This small, colorful shop in Newport's historic district serves a one of a kind treat no kid can resist, and parents are not immune either: waffle on a stick. This delicious Belgian invention came to Newport from a recent trip shop owner Maude took to Europe. You can have your waffle by itself or with one of 14 flavors of locally made New England ice cream, 14 flavors of artisan gelato, and any number of toppings. There is a hot waffle ice cream sandwich, a waffle ice cream sundae, and, if you want to make a meal out of it, savory hot waffles with hot dogs, bacon, and fried chicken. 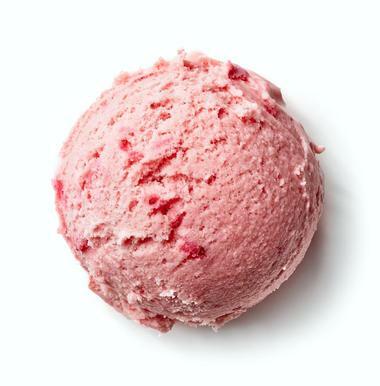 There is no rule against adding a few scoops of ice cream on top of everything. 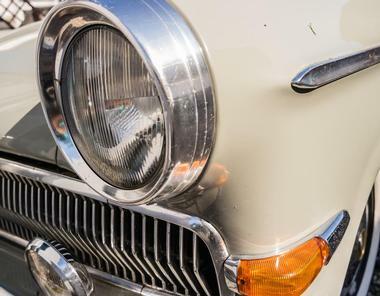 The Audrain Automobile Museum has a collection of more than 160 of the most remarkable and rarest vehicles in history. These fully restored and functioning vehicles range from the early 20th century to today. The vehicles on display revolve in order to keep the museum content fresh, and the entire collection is never all on display at one time. The vehicles are chosen based on periodically changing themes. The museum is located in a magnificent historic Audrain Building, one of the original architecturally significant Guided Age structure on Bellevue Avenue. Constructed in 1903 as a commercial building, the edifice was designed by the well-known architect Bruce Price, who took his inspiration from the Florentine Renaissance and created broad arched windows that cover both stories and a white terracotta balustrade on the roofline. The building was completely reconstructed to house the museum, and the historic renovation earned it the Rhody Award for Historic Preservation. 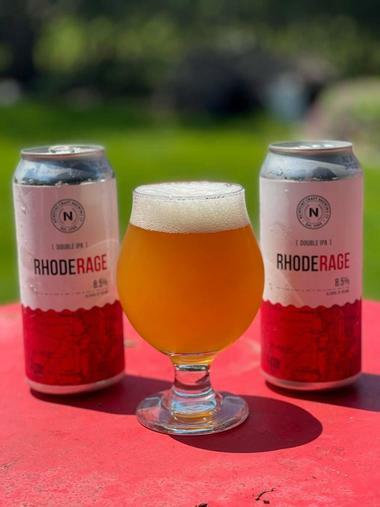 What started as the dream of four college student friends resulted in a Newport Storm Brewery that is today producing quality craft beers for their local customers. Their first beer, Hurricane Amber Ale, produced in 1999, was a great success, and in the 17 years since, Newport Storm Brewery has created more than 100 different varieties of their unique brews. In 2010, they moved to a newly built facility in the north end of Newport, increasing the production space to 10,000 square feet and adding a fun visitors center and observation deck for tours. In 2006, Newport Storm Brewery started making Thomas Tew Rum, bringing back a practice that has historic roots in the area. The brewery is open for non-guided tours any time during working hours, and there is one guided tour every day if you want to learn more about the process behind making your favorite brew. Gansett Cruises offers a quiet, relaxing cruise of Newport Harbor and East Passage of Narragansett Bay on board of their private yacht M/V Gansett. The yacht's comfortable cushioned seats, open deck plan, and large canopy ensure a delightful cruising experience. Narrated cruises last about one and a half hour and provide wonderful views of Newport and Jamestown. Every cruise offers something special from the galley - a treat that is representative of Rhode Island culture. The guests get to sample Del's Lemonade, RI State Clam Quahog "Stuffies," Coffee Cabinets, and Champagne Toasts during the Sunset Cruise. All treats are compliments of the captain, and the cash bar serves a nice selection of wines, soft drinks, and Narragansett beer.